Looking for deals in Hamburg? Located in the Hamburg City Center (Old Town) district of Hamburg, Adina Apartment Hotel Hamburg Speicherstadt provides accommodations with a fitness center and free WiFi. Breakfast was plentiful and very good. The washer/dryer in the room was a bonus. Bed was comfortable and roomy with good pillows and bedding. Great location to downtown sights. Located in the Hamburg Altstadt district in Hamburg, 1640 feet from HafenCity Hamburg, Sir Nikolai Hotel features a restaurant and free WiFi throughout the property. All rooms include a TV. Without any doubt the greatest hotel in Hamburg. The staff is extremely friendly and works proactive to make the stay unique. Breakfast is worth the money. Great selection & taste. The rooms themselves are nicely designed and made me feel at home from the first moment. Every single details is perfect at the hotel. Highly recommend to everyone that wants to enjoy Hamburg the classy way. This 5-star hotel on the River Elbe offers elegant rooms with free Wi-Fi, an impressive restaurant and a spa. Hamburg’s city center is 20 minutes away by bus. The Hotel Louis C. Beautiful hotel at beautiful location. Holiday Inn Express - Hamburg - City Hauptbahnhof offers accommodations in Hamburg. Guests can enjoy a daily breakfast free of charge. Great breakfast, comfortable room & friendly staff. 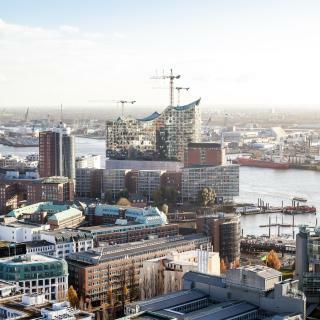 Offering a terrace and views of the river, The Westin Hamburg is located in the breathtaking building of the Elbphilharmonie, in the HafenCity district in Hamburg. The best hotel if you are attending a concert at Elbphilharmonie. This hotel is centrally located in Hamburg. It is next door to the CHH Congress Center and 1969 feet from the Dammtor Train Station. It offers free WiFi and free use of public transport. Awesome hotel. Guys upgraded my single room to double one for free. This stylish new hotel is located in the vibrant HafenCity district of Hamburg. It offers free WiFi, a 24-hour business center and a 6th-floor gym with great views of Hamburg. Extreme cleanliness, quiet and comfort. Located within 1969 feet of the Port of Hamburg and the St. Pauli Piers, Hotel Luckys Inn provides a shared lounge, as well as free WiFi. Very clean room. Convenient location. Located in Hamburg within a 15-minute walk of Port of Hamburg and 1.1 miles of St. Pauli Piers, prizeotel Hamburg-St.Pauli has rooms with free WiFi. Nice modern hotel with great facilities and great location. Staff was very polite and friendly. This 5-star hotel is located on the Alster Lake in the heart of Hamburg. The Fairmont Hamburg offers gourmet cuisine, free WiFi and a luxury spa and fitness club. The location was perfect, right in the middle of most of the attractions. This boutique hotel is directly located in Hamburg city center, a 1-minute walk from the Neuer Wall shopping street and a 5-minute walk from the Jungfernsteig. Venche at the front desk was amazingly friendly and gave us great suggestions! Centrally located in a quiet side street, this 3-star superior hotel is located between the lively St. Pauli district and the Schanzenviertel district. Amazing staff. Super friendly and helpful. Good size room and bathroom with nice shower. Quietly located in the trendy Schanzenviertel district, this elegant hotel is just a 10-minute drive to central Hamburg. It offers spacious accommodations with a stylish lounge area and free Wi-Fi. Very clean, nicely furnished and comfortable bed. Also very nice staff and great location. This small, 3-star hotel in central Hamburg is only 328 feet from the Hamburg Main Station and Hamburg Bus Station. It offers traditional-style rooms with cable TV. Quiet place in a busy area, close to everything, bhanhof, city center.. Which hotels in Hamburg have nice views? Zollenspieker Fährhaus, The Fontenay, and Hotel Louis C. Jacob got great room view-related reviews from travelers in Hamburg. Which hotels are the best ones to stay at in Hamburg? THE MADISON Hotel Hamburg, Superbude Hotel Hostel St.Pauli, and GRAND ELYSEE Hamburg are some of the popular hotels in Hamburg. What are the best hotels in Hamburg near Elbphilharmonie Hamburg? 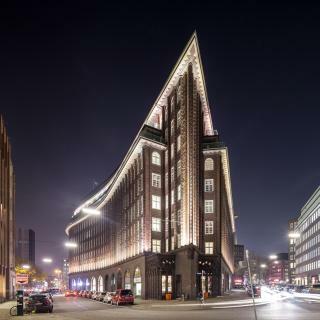 Some of the best hotels in Hamburg near Elbphilharmonie Hamburg include THE MADISON Hotel Hamburg, The Westin Hamburg and Loft-Wohnung im Herzen Hamburgs. How much is a hotel in Hamburg for this weekend? The average price per night for a 3-star hotel in Hamburg this weekend is $205 or, for a 4-star hotel, $262. Looking for something even fancier? 5-star hotels in Hamburg for this weekend cost around $465 per night, on average (based on Booking.com prices). Which hotels in Hamburg are good for families? Many families visiting Hamburg loved staying at Hotel KUHBERG Hamburg, Wine Coffee & More - All Suite Hotel, and Holiday Inn - Hamburg - HafenCity. How much does it cost to stay in a hotel in Hamburg? On average, 3-star hotels in Hamburg cost $104 per night, and 4-star hotels in Hamburg are $142 per night. If you're looking for something really special, a 5-star hotel in Hamburg can be found for $236 per night, on average (based on Booking.com prices). Which hotels in Hamburg are good for couples? These hotels in Hamburg are highly rated by couples: The Fontenay, Fairmont Hotel Vier Jahreszeiten, and THE MADISON Hotel Hamburg. How much is a hotel in Hamburg for tonight? On average, it costs $98 per night to book a 3-star hotel in Hamburg for tonight. You'll pay around $134 if you choose to stay in a 4-star hotel tonight, while a 5-star hotel in Hamburg will cost around $213, on average (based on Booking.com prices). Which neighborhood is the best one to stay at in Hamburg? Hamburg City Center (New Town), Hamburg Nord, and St. Georg are popular with other travelers visiting Hamburg. Which hotels in Hamburg offer an especially good breakfast? 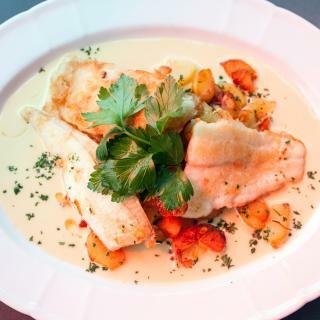 For hotels in Hamburg that serve highly-rated breakfasts, try Volksschule, Auszeit Garni Hotel Hamburg, and Hotel Louis C. Jacob. 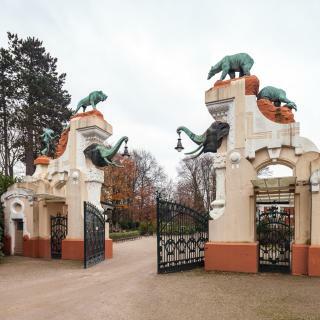 What are the best hotels in Hamburg near Hamburg Airport? 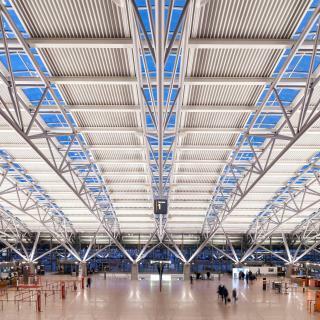 Travelers who stayed in Hamburg near Hamburg Airport (HAM) have said good things about Radisson Blu Hotel, Hamburg Airport, Courtyard by Marriott Hamburg Airport, and Leonardo Inn Hotel Hamburg Airport. 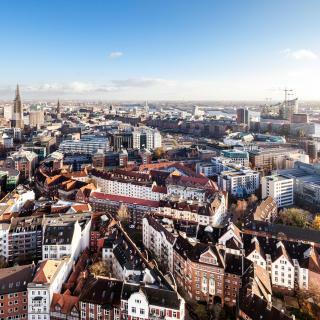 With more canals than Amsterdam and Venice combined and over 2,300 bridges, Hamburg is an independent city-state with Europe’s second-busiest port and one of Germany's most popular soccer teams, Hamburg SV. 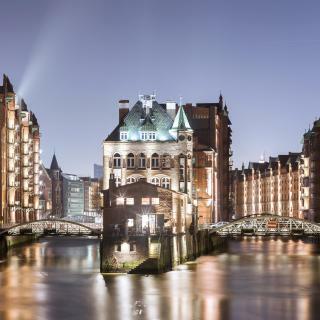 No trip to Hamburg is complete without a visit to the city’s old warehouse district, Speicherstadt, and the popular harbor promenade, the Landungsbrücken. The best and most popular way to explore the city is by boat or ferry so you can truly admire the stunning architecture and the city’s waterways. The impressive City Hall and the popular St. Michaelis church will awe any visitor, and music fans should look for the Indra and the Star Club, where the Beatles played between 1960 and 1962. For a different look at Hamburg, moonlit strolls on the Reeperbahn will bring visitors through the largest red light district in Europe. Hamburg is famous for its local dishes, Birnen, Bohnen and Speck, Aalsuppe and open-faced sandwiches with cold-smoked or pickled fish. The laid-back cafés of Schanze neighborhood and barbecues on a beach along the Elbe River are great ways to relax after a day of sightseeing. The city center is accessible from Hamburg-Fuhlsbüttel Airport and Hamburg-Lübeck Airport using either train or bus services. Whether you’re looking for a luxury hotel, traditional apartment or youth hostel, Booking.com has everything you need for a vacation in Hamburg. So much history here. And also so much evidence of modern German technical excellence. I recommend you stay at the Louis C. Jacob with a riverview room. The scenes of shipping and the Airbus factory are captivating! The hotel is really nice and it is pet freindly. Great staff. We had dinner at the Little LCJ restaurant. It was great fun watching the chef and his sous in action! Entertaining and fun city, the weather was complicated to predict, I have never experience anything like it before, it was like 30 minutes sunny and clear and 20 minutes after it was cloudy and raining heavily, this happened like 10 times during the day, it was really weird, but the local people told me that it was something pretty common for this time of the year. I went to Hamburg basically to run the Marathon there, the reason why it was a short stay and I couldn't explore too much there after running the race, but it seems like a cool city overall, so I'll be coming to visit my friends there and to explore the city well. I stayed at the Grand Elysee Hotel that was great, and went to the Turn Bar, that is located right in front of the hotel, and it was awesome, the Design, Concept and Ambient of this bar was very unique. A lovely city for walking, especially in the leafy neighborhoods surrounding the aussen Alster. Fine museums, including the Bucerius Kunstforum by the city hall, a fascinating harbor, easy public transportation and some nice restaurants. We liked Piazza Romana inside the Elysee Hotel. A beautiful botanical garden is almost at the center of town. If you're looking for a fun night scene, the Reeperbahn strip is The place to go! This town doesn't sleep. For the shopaholics, go near the train station in St. George called Moenckebergstrasse, department stores are a bit expensive but the surrounding stores are affordable. Christmas markets were great, shopping was good, overall fun, slick city. Upset we couldn't see St. Pauli and the East Restaurant is not worth the hype. Stayed at the George Hotel which was fantastic. Visiting Germany for the first time I didn’t know what to expect. The hotel was well located , almost everything within walking distance. Just behind was the Turkish quarter with plenty of halaal eateries. Most food places were in close proximity, as well as the shopping street Neuer Wall. The hotel itself was modern and clean, nice bathroom , bedroom could have been a bit more plush but it was a design hotel so it followed a theme. The best place was the breakfast room, amazing view over Hamburg. Overall it was an excellent stay . I would describe this hotel as a small family boutique hotel. Rooms are nicely decorated and comfortable. Tea and coffee maker and safe in room. Around the corner from central ststion and yet in a very quiet street. Breakfast was traditional german and lovely. They even make mini tea cakes for the guests. Lovely and helpful people. No lift so if you have problem with your legs ask for lower level...I asked for higher and got it ! Definitely a nice place to stay in Hamburg. And ....the centre and all the shops are 5 mins walk. First I would like to thank the people working in this hotel, they are all very friendly specially Rafi, he was very welcoming to us and even thought we arrived very early before the check in he let us in the hotel and gave us information, tips about the city and a nice coffee. The room was very big and clean with all you need to feel comfortable and at home, I would recommend this place to anyone who visits Hamburg as its location is perfect, very close to the city centre. The staff were so lovely! I stayed at a 5 star hotel in Hamburg before I realised the difficulty of finding an apartment and moved into this hotel for almost two weeks. Not only did they assist me in finding an apartment, they made sure I was very comfortable and felt right at home! They provided me with a mini fridge and kept my room tidy daily! Special thanks to Mr Karki for all the help and support! Highly recommend this stay!! Without any doubt the greatest hotel in Hamburg. The staff is extremely friendly and works proactive to make the stay unique. Breakfast is worth the money. Great selection & taste. The rooms themselves are nicely designed and made me feel at home from the first moment. Every single details is perfect at the hotel. Highly recommend to everyone that wants to enjoy Hamburg the classy way. Being an existing customer we always stayed Ibis hotel because great place to stay, excellent housekeeping team, room is very clean 100% , good amenities , walking distance only from the Hamburg airport , friendly and polite staff . Staff is friendly. We got some questions about CC charge due to our ignorance of the way hotels charge CCs in Germany, and staff was very friendly and kind, so they explained us everything. The price is lower than average in Hamburg. An amazing property in every way. Beautiful facility, good location and outstanding staff. Great hotel and better than other 5 star hotels I have stayed at in Hamburg. They won our business. This is a modest, well-run hotel in an excellent location; approximately one-half kilometre to the airport and about 100 meters to a rapid transit train stop to Hamburg Centre and the Port areas. Location is close to theaters Saint Paul Square and docks. Wonderful street musicians outside my window. Loved culture of Hamburg, the Chicago of Germany. Loved the Amazing breakfast buffet. The location was perfect! 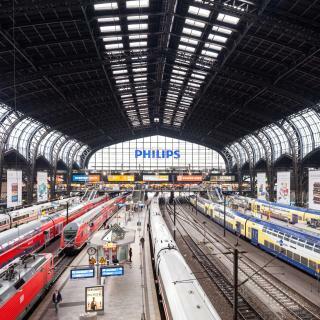 It was close to the main railway station in Hamburg, restaurants, and the bus tours. The hotel was very clean. Amazing experience. Very friendly and comfortable hotel at perfect location in Hamburg. Best 5 Star Hotel in Hamburg. Location, view, rooms all extremely good. My favorit hotel in Hamburg. Everything is great here!!! Better then we expected. Great location and staff. Very welcoming and beautiful location. Nice accommodations and the morning breakfasts were a great way to start the day. Location - 2-3 stops with the metro to the city center. Small, but comfortable room, modern furniture. Shower also quite small, but clean and functional.